Aches, pains and other: My bladder currently has the capacity of a walnut. I'm already at the point where I feel like I am about to burst with only a tiny trickle to show for it. Hopefully, he will reposition soon and get off my bladder. 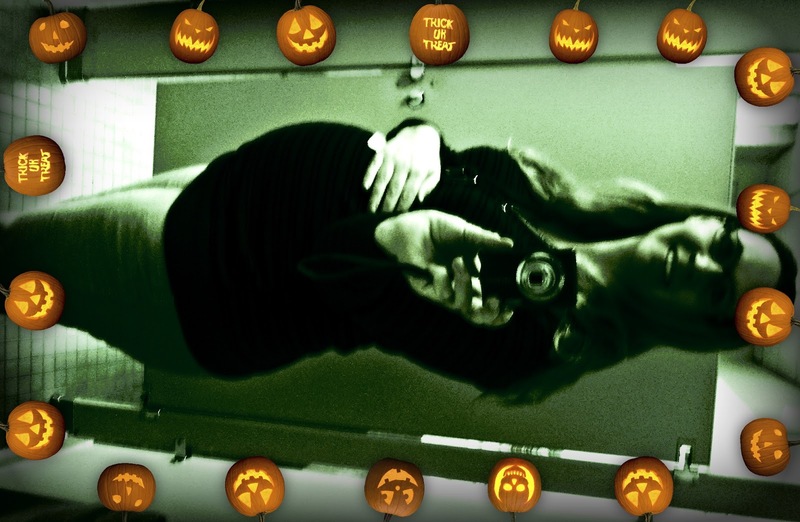 Today's belly pic brought to you by Halloween! I continue to consistently put on at least 2 pounds a week despite all efforts to stave off the massive weight gain. I am really hoping it will simmer soon. I am not at all looking forward to next week's OB appointment and not just because I have to take my Glucose Challenge. I'm seriously considering taking my food diary printouts to prove that I am not dining on Reese's and buttercream frosting. But they don't care. They just look at the number and don't care about excuses. If there is any doubt about where those pounds have gone. 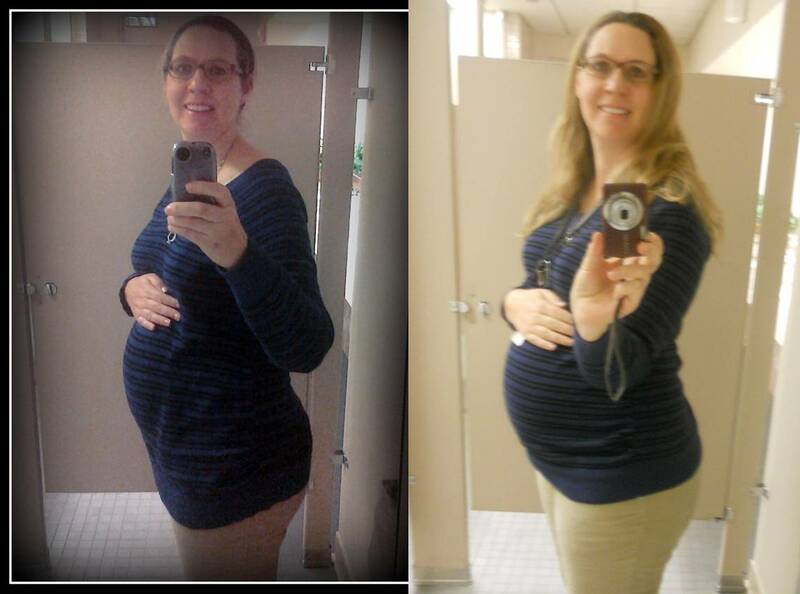 Check out the bagginess of the sweater at 22 weeks versus today. 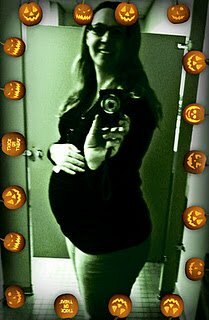 Umm, hello there belly. I've started measuring ahead which is no big surprise as I think he is going to be a very big baby.